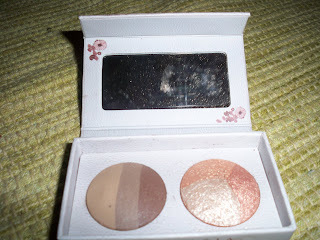 I had the opportunity to try Anastasia's newest product. The Highlighting Brow Kit is the first baked eyebrow product in the market. 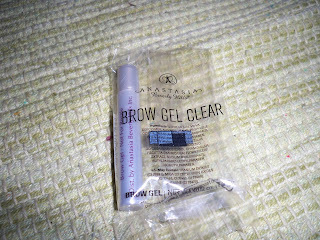 -The baked brow color has three colors so you can mix and customize your eyebrow shade. -The shadows are actually good for you - they contain Balkan Botanical infusion (a natural plant extract) which are supposed to sooth and soften skin. Honestly, I really like this trio. The eyebrow powders are some of the best i've tried so far. I'd get it for the eyebrow powders alone. It's actually a good price when you think about it - You get three shades of brow powder, three shades of mineral highlighting shadow, and a mini size Anastasia brown gel. 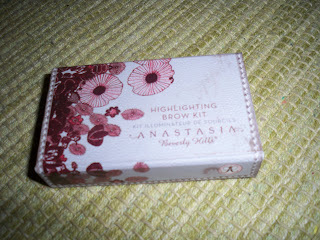 You can purchase this for $32 now at www.Anastasia.net or at Sephora at the end of January 2009. Anastasia products sounds cool! I have seen a lot of good reviews, thanks for the review on this one! Thanks for the review Ren, I may have to pick this up. I've been wanting to try Anastasia products but, always thought they were kind of expensive. baked you say? interesting. though i'll have to pass on this one, my brows will have to be nekkid. LOL! oooh, I think I need that.